Sort everything. Once everything is out of the garage, it’s easier to see what’s on hand. That’s great because it’s now far simpler to identify what’s important and what can go. Arrange according to priority. As you put things back, arrange them according to priority. 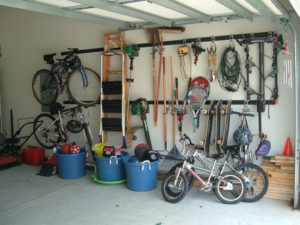 Meaning, put stuff you most use in easy to reach places and things you use the least elsewhere.